Product categories of Jewelry Paper Box, we are specialized manufacturers from China, Jewelry Paper Box, Paper Jewelry Gift Box suppliers/factory, wholesale high-quality products of Paper Cardboard Jewelry Box R & D and manufacturing, we have the perfect after-sales service and technical support. Look forward to your cooperation! The Jewelry Paper Box is extensively used for packing all kinds of jewelry. The Jewelry Paper Box is always made eco-friendly cardboard, luxury leatherette with colorful paper outside. 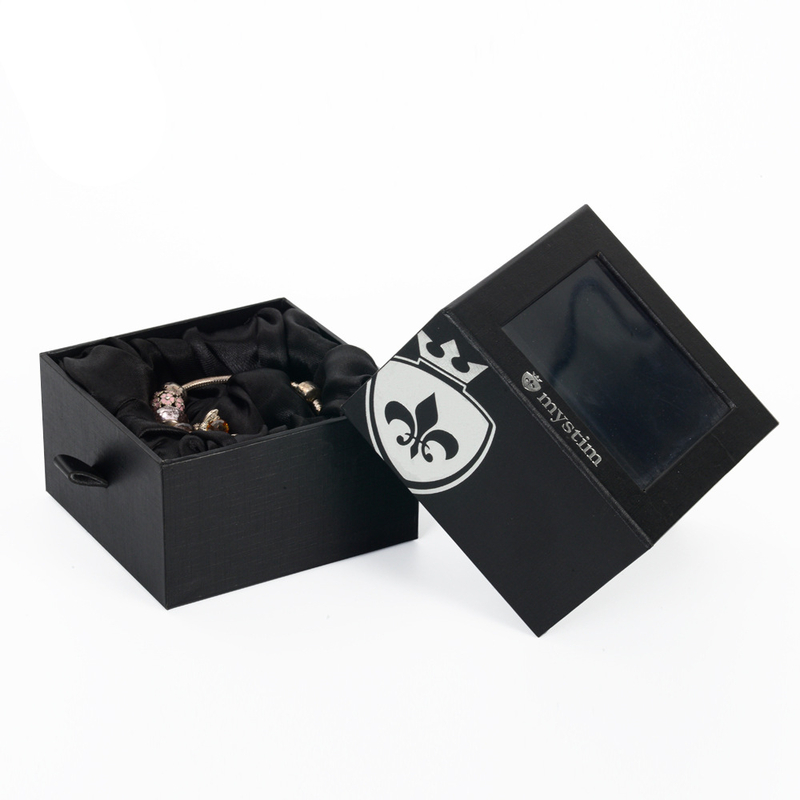 All jewelry boxes can be branded with your company logo, slogan or artwork, free of charge. Material:art paper,kraft paper,coated paper,white or grey paper,silver or gold card paper,special paper etc. Size: can be customized according requirment of customers. Logo disposal: can be hot/cold foil stamping,UV spot/varnish,embossed/debossed stc.